The Supreme Court guts the Voting Rights Act, and Texas celebrates by enacting discriminatory voting law and legislative redistricting plan. Today everybody's talking about the Supreme Court's decisions on gay marriage – preserving it in California, and effectively ending the Defense of Marriage Act. These are good things, of course, though the decisions are short of establishing marriage equality everywhere. So that's good. But I want to talk about a bad thing. I want to talk about the SCOTUS decision on the Voting Rights Act. I wrote about this case when it was being argued, and pointed out that the law's key provision – requiring federal approval before certain states change their voting laws – was in danger. Then, it seemed obvious that the law was still necessary. After all, in 2012, under the Voting Rights Act, a panel of judges was able to halt Texas' new voter ID law, saying that it put "unforgiving burdens" on minority voters. That same panel of judges also blocked Texas' legislative redistricting because the new legislative maps had been drawn up with "a discriminatory purpose." 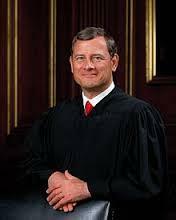 "Our country has changed," Chief Justice John G. Roberts Jr. wrote for the majority. "While any racial discrimination in voting is too much, Congress must ensure that the legislation it passes to remedy that problem speaks to current conditions." Within two hours of the Supreme Court's decision on the Voting Rights Act, Greg Abbott, the attorney general for the state of Texas, announced that a voter identification law that was blocked last year by the Justice Department would go into effect. "With today's decision, the state's voter ID law will take effect immediately," he said in a statement. "Redistricting maps passed by the legislature may also take effect without approval from the federal government." Whoops! I guess Roberts got one thing wrong. Apparently, the country hasn't changed that much.